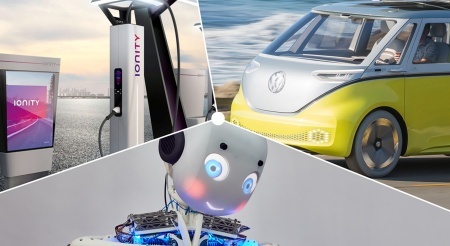 Infineon Technologies AG gives answers to the major questions related to digitization: How can clean energy be produced and how does it get into the electric car quickly and with low losses? What makes servers more efficient as we transfer more and more data to the cloud? How suitable are robots already for use in everyday life? And how do we protect ourselves in a connected world against attackers from cyberspace? Together with customers and strategic partners, Germany’s largest semiconductor manufacturer is working on solutions for the connected world of tomorrow. Infineon will showcase the connection between the real and digital worlds at booth 503 in Hall C3 at electronica 2018, from 13 to 16 November.